Which one of the following is the value of the variable Z in the output data set? D. The program fails to execute due to errors. Which one of the following represents the values of the AMOUNT and WORD variables? Answer : A. When SAS reads in the iterations in sequence, it first writes 7 to the variable 'amount' in PDV. Then it reads through the condition and writes 'DOG' for variable 'word' in PDV. Then it again encounters the value 5 and writes to 'Amount' in PDV. Where is the output written? How many of the original twelve observations in WORK.SALES_INFO are written to the WORK.REPORT data set? Answer : C. The qtr (quarter) values of each of the months (July through December) 7,8,9,10,11,12 is 3,3,3,4,4,4..Therefore 6 obs are included in the final dataset. Which one of the following is true regarding the output data sets? A. No library references are required. B. The data sets listed on all the IF statements require a library reference. C. The data sets listed in the last two IF statements require a library reference. D. The data sets listed in the first two IF statements require a library reference. Answer : D. The datasets in the first two IF statements require "sasdata" libref. Answer : C. The two proc sorts are arranged in descending order. However, the merge is in ascending order. Hence, the two data sets won't be merged. In merge if you choose to sort by descending then you must use descending with merge statement otherwise it will not merge because of reason ( C ). It does not matter if you sort by ascending order. Q27. Which one of the following is true of the SUM statement in a SAS DATA step program? A. It is only valid in conjunction with a SUM function. B. It is not valid with the SET, MERGE and UPDATE statements. C. It adds the value of an expression to an accumulator variable and ignores missing values. D. It does not retain the accumulator variable value from one iteration of the SAS DATA step to the next. D. No variables are output to the data set as the program fails to execute due to errors. Answer : B. The variables are: Fname, age, salary and totsal. Note: Obs will not be counted here. Which one of the following is the value of the variable PROD in the output data set? Answer : C. Because of prod + 1 statement, SAS compiler will assume a retain prod 0; statement. last loop => prod = 7 => (7 gt 6) => true, do until loop exits and pdv writes prod value of 7 to output dataset. Q30. Which of the following is not an error identified during the compilation phase? 6 Responses to "SAS BASE CERTIFICATION QUESTIONS AND ANSWERS - PART 3 OF 4"
On Question 26, where the program is trying to merge two datasets that have been sorted by 'descending fname', the answers cover possibilities assuming that the merge WILL fail, but in fact whether or not it fails is data-dependent, and the merge MAY work. If each dataset has zero or one record, the merge will ALWAYS work without producing any error messages. 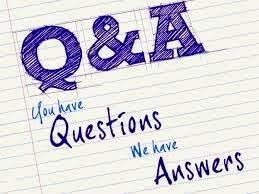 First I would like to mention the questionnaire has been prepared in a good manner and the answers have been explained well. I think that the last observation from WORK.EMPLOYEE should be moved to WORK.SALARY.